This handbook is about social responsibility (SR) of small and medium sized enterprises (SMEs). What can you do as an entrepreneur to do business in a sustainable way? Is it feasible or only possible for large corporations? Can you contribute to society, environment and economy in a few steps? Certainly! 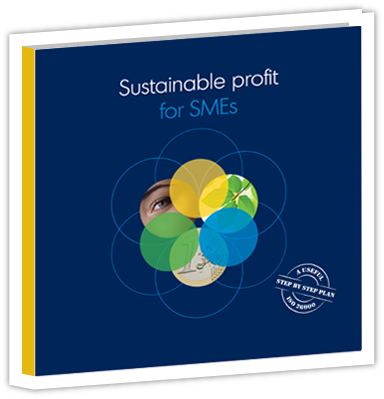 In this handbook, we explain how to gain sustainable profit using seven practical steps. "It is important that SMEs get practical tools, like this step-by-step plan"
"It isn't just about energy, but also about how you treat your employees"
"SMEs scan be very creative in sustaining their business"
"the SME Frontrunner Project is a great way to involve SMEs"